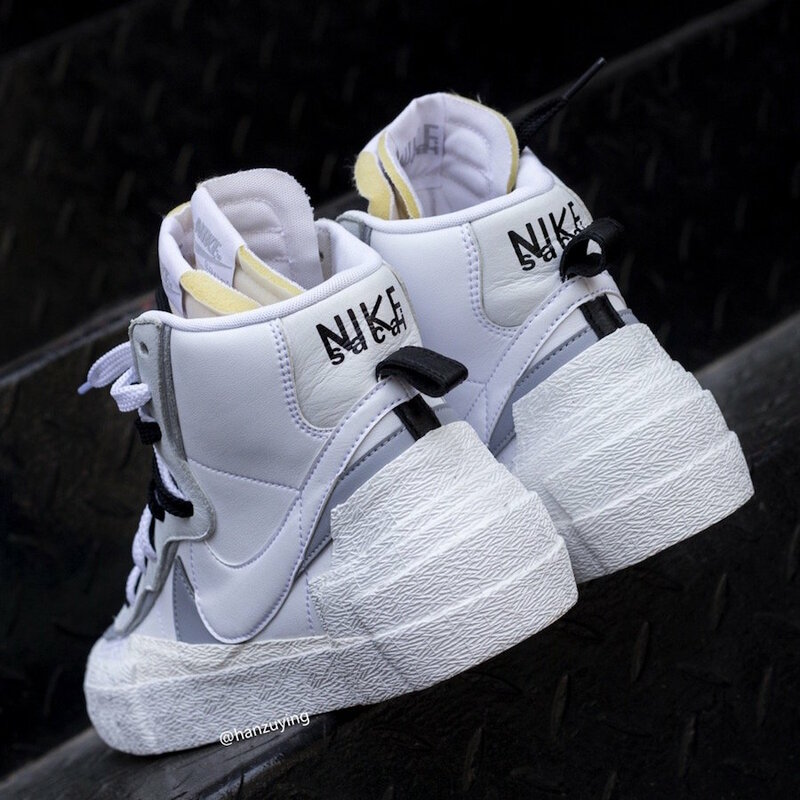 Japanese luxury brand sacai and Nike appear to have kindled up a great friendship as their collaborative efforts continue to grow. 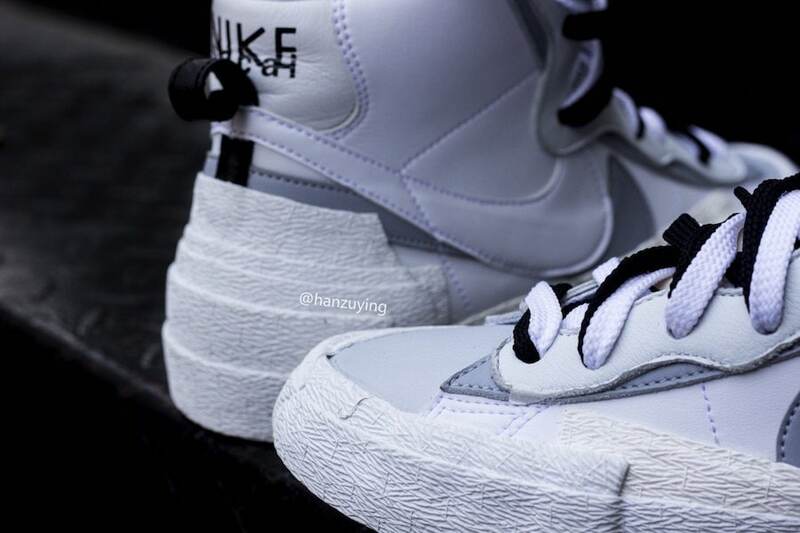 A fourth Blazer looks to be in the works appearing in White and Wolf Grey. 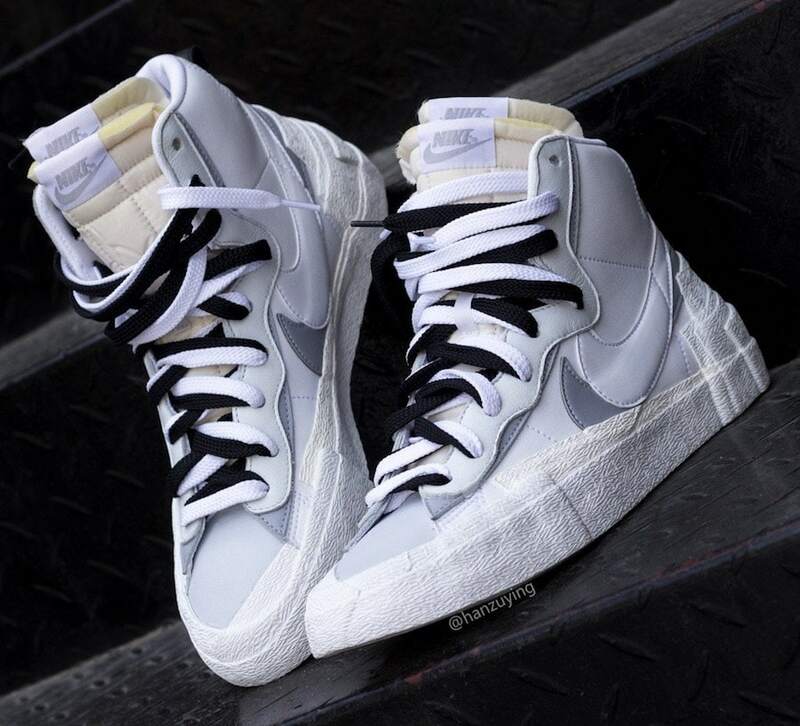 Although a sacai x Nike Blazer has not been released as of yet, this model will mark the fourth one we have seen this year. 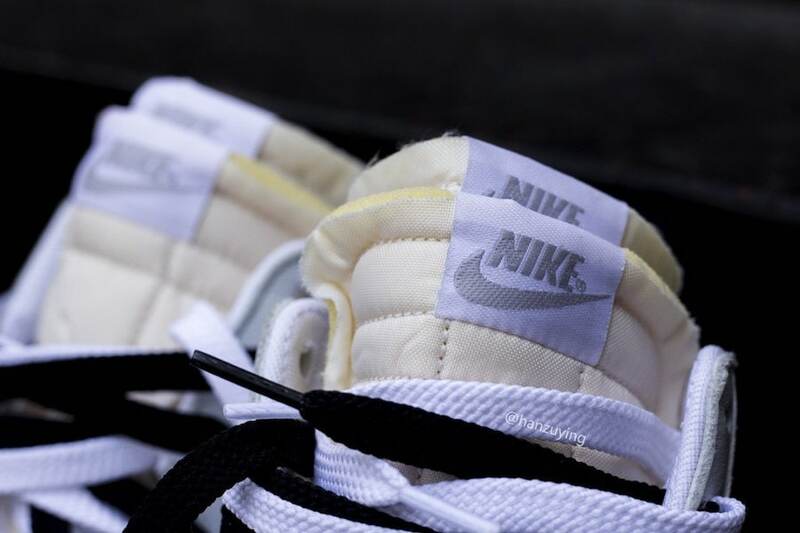 Other editions provided bright colorways but for this one, the two brands look to tone it down. With the defiant model equipping with a tonal colorway and the hype that it has accumulated over recent months, the sneaker looks to be a huge hit this spring. 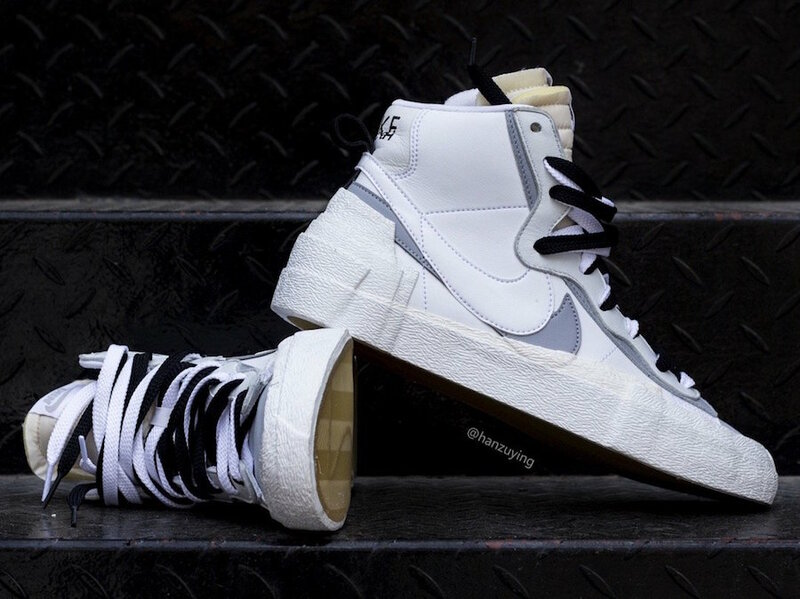 The silhouette draws from both the iconic Nike Blazer Mid as well as the Dunk High just like its predecessors. The mashup of models break conventional norms and has allowed this collaboration to steal a lot of spotlight from its competitors. 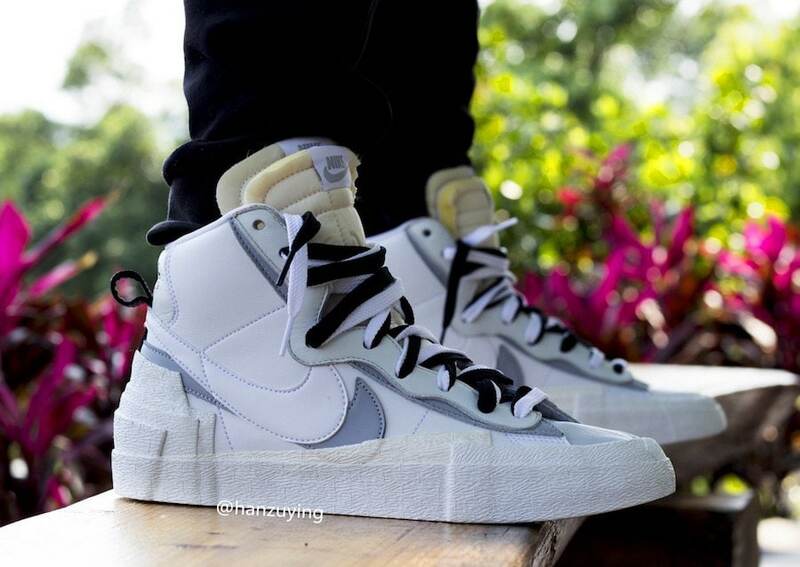 For this edition the upper consists of an all-white leather that is contrasted with a wolf grey overlay that surrounds the tongue. The shoe then boasts a duplicate aesthetic as the tongue is exposed twice and is tied down with two different black and white laces. 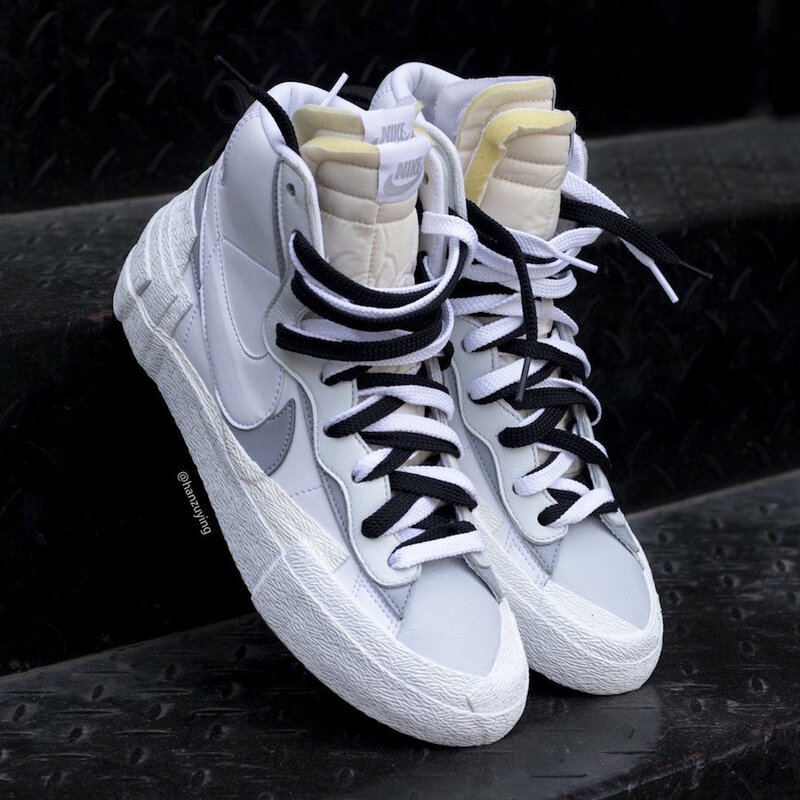 Branding is then seen on the sides of the blazer as the Nike Swoosh is doubled and laid on top of each other in an all white and wolf grey colorway as well as “NIKE sacai” embroidered on the heels in black. To finish off the abstract design, the all-white sole is accompanied with multiple layers of rubber that climb up the heel and midfoot. Although a release date has not been announced look for the shoes to drop sometime this spring as they will become available at select retailers and Nike.com for a retail price of $140. 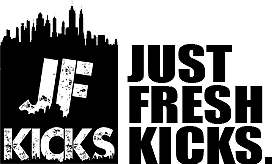 Check out more images below and stay tuned to JustFreshKicks for updates as well as other Nike news.